Bead Size 8mm dia. See picture with penny for size comparison. 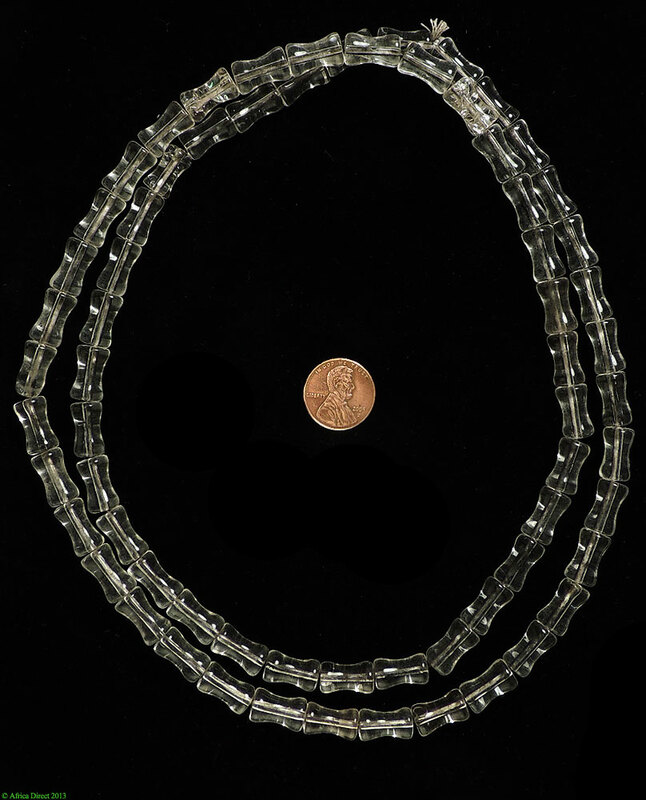 There are exceptional museum collections of trade beads at the Museum of Mankind in London, the Pitt River Museum in Oxford, the Royal Museum of Central Africa in Belgium, the Murano Museum of Glass in Italy, the Tropical Royal Institute of Amsterdam, and the Picard Trade Bead Museum in California to name a few.